Hi friends! I'm am so excited about today's post. I've been in the market for book bins since forever and I've never found the right ones. They either weren't my color, or they were way too expensive. And then I discovered Steps to Literacy. Y'all, they seriously have THE best book bins. I am in love! 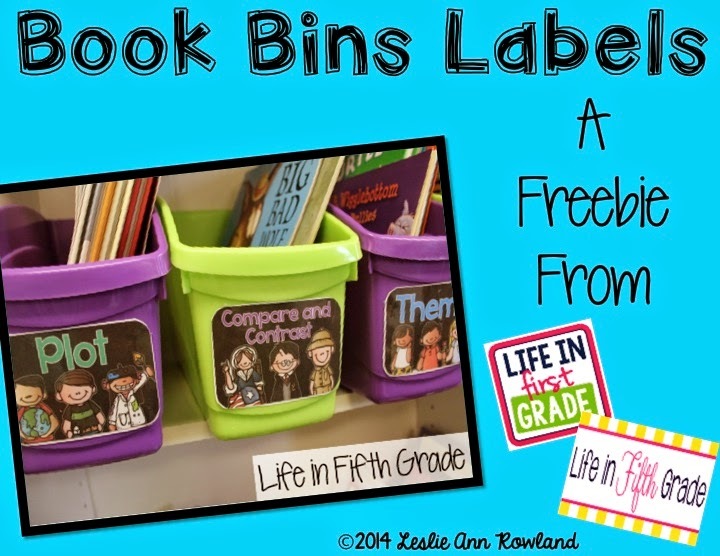 Let me explain how I've used these fantastic bins in my classroom. Since I teach 5th grade, the majority of our classroom library is filled with novels. I actually separate my picture books and store them in another bookshelf. My kids are always allowed to read them. Some of the higher picture books are actually 3-5th AR level, so they can even take AR tests on them. I still love having lower level books in the room though. Sometimes those books help my reluctant readers rediscover their love of books and they are also helpful for teaching skills. When I'm trying to get my kids to understand a certain skill like making inferences or drawing conclusions, I've found that it works a lot better when you use a book that's slightly below level. That way the students can concentrate on understanding the skill, rather than comprehending the text. When I need to teach a certain skill and I'm trying to create a lesson, I also find my way to our picture books to try and pick an anchor text. I decided this year to sort some of the books by the skills that they lend themselves to. 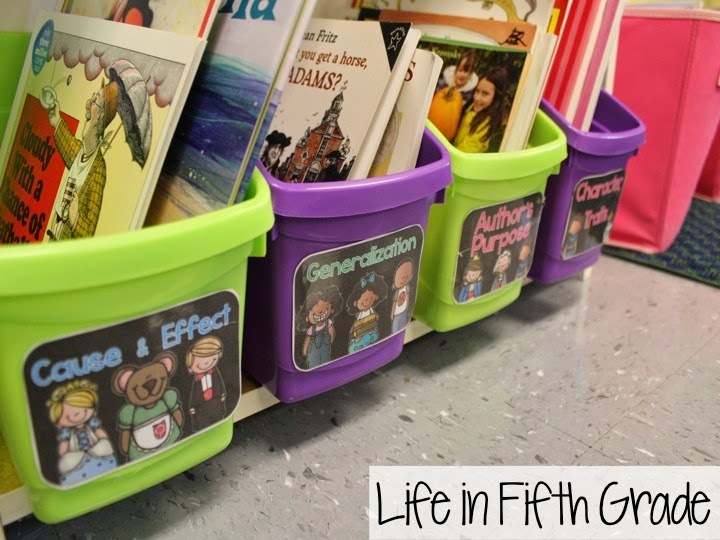 These Steps to Literacy bins worked perfectly! Want to know the BEST part?? 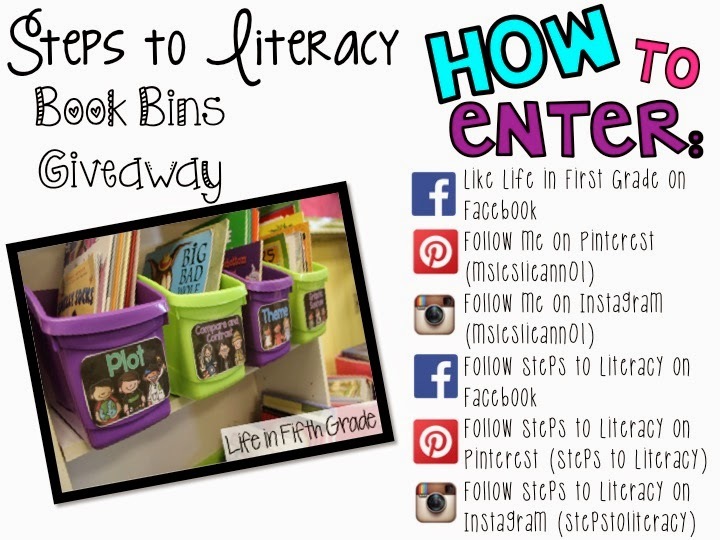 Steps to Literacy has given me 2 sets of bins to giveaway! If you are the lucky winner, you'll receive a set of 8 bins. The first winner will have the choice of primary colors or the bright colors. Want to enter? Here's what to do! Organising books by skill like that is an AMAZING idea! A post on what books you've sorted under each skill would be brilliant (and very useful...!). Thanks for the freebie! Love how you organize the books! I agree about the titles of books in your bins. That would be beyond helpful! Thank you for your freebie and chance to win. thank you! 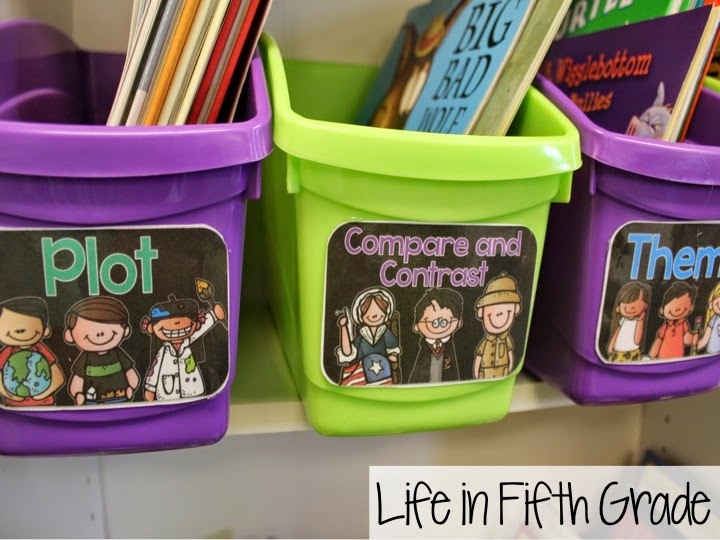 These will make planning mini lessons so much easier. I love these bins - If I don't win I will have to buy them. Adorable graphics! So cute! Thanks for the giveaway! 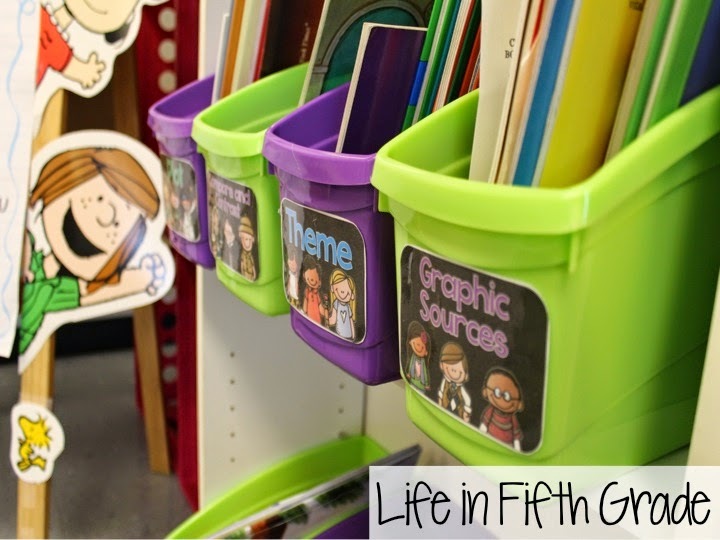 :) I am starting my first year and I need all the help I can get equipping my classroom with everything we need! Thanks for doing this giveaway. 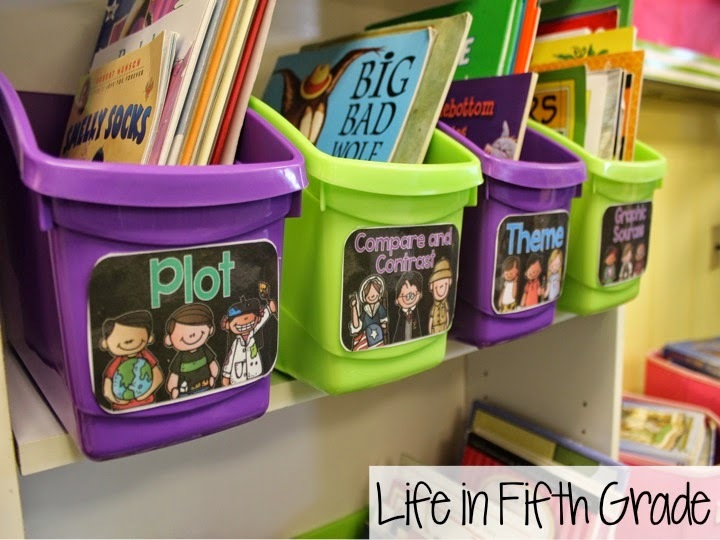 I have heard about the Steps to Literacy bins and would love to have them in my classroom! Thanks for doing this! Hoping I am the lucky winner!